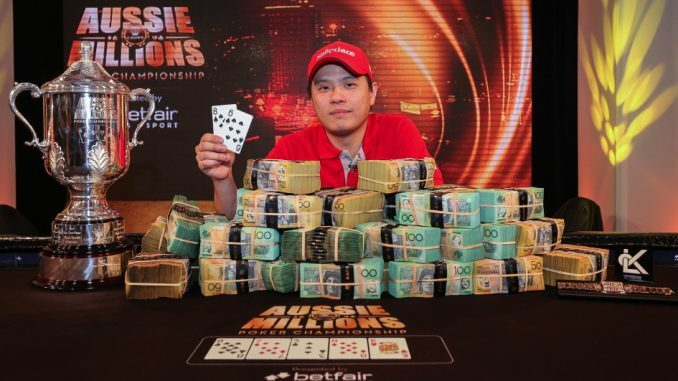 Crown Poker has landed a marketing coup in the lead-up to April’s inaugural World Series of Poker Asia-Pacific after Malaysia’s Mervin Chan (pictured above) secured victory in the 2013 Aussie Millions Main Event. 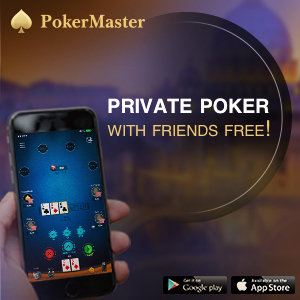 The 29-year-old becomes the first Asian player to win Australia’s premier poker title and ensures Crown the ideal PR vehicle in south-east Asia ahead of the first WSOP bracelet event on April 4. After play was halted at the final table on Sunday morning, the surviving trio returned later in the day to decide the title, with the chip counts reading Joe Cabret 7,720,000, Chan 5,670,000 and Patrik Antonius 5,650,000. It loomed as another lengthy session but that wasn’t the case. Antonius had adopted an extremely aggressive approach, which came undone after he three-bet shoved from the small blind, with Chan snap-calling and showing pocket jacks. The A-4 of Antonius needed help, but it didn’t materialise on a board of 9-8-6-K-6, leaving him with just a single big blind. 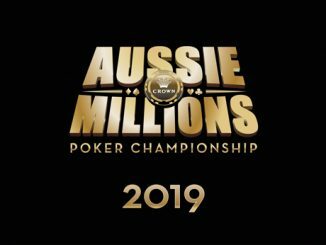 After Antonius limped out shortly after, Chan and Cabret sat down to contest the heads-up match with the former holding a narrow chip lead, 10 million to 8.1 million. However, it would take just a few hands before the chips were in the middle. In addition to the first prize of $1.6 million, Chan also won a custom made diamond-encrusted rose gold bracelet by LK Jewellery valued at $40,000, representing the game’s ultimate achievement, a glass trophy and a new Chrysler 300C valued at more than $50,000. Cabret, the highest placed Australian in the field, took home an even $1 million as runner-up. • If there was an award for player of the series, Russia’s Igor Kurganov would have been an unanimous choice. In a repeat of the heads-up match from the EPT London High Roller in 2011, Kurganov defeated Philipp Gruissem to claim victory in the $25,000 buy-in Challenge. In addition to the $275,000 he won here, Kurganov had already cashed for $610,000 as runner-up in the $100k Challenge and $500,000 for his fourth-place finish in the $250k Challenge. Gruissem pocketed $187,000 as runner-up, Erik Seidel added another $125,000 to his decorated Aussie Millions record for third with Niklas Heinecker (fourth, $85,000) and Fabian Quoss (fifth, $51,000) the other players to cash.